For the bulk of my work I only need three or four fasteners, so why am I carrying around a screw organizer that has room for ten? I can’t leave any of them empty either, so they end up getting filled with fasteners I might use only a few times a year. 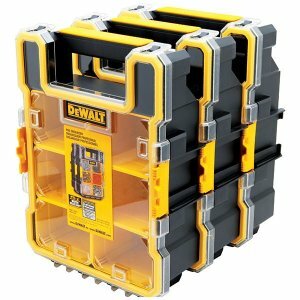 It looks like the DeWalt DWST14740 Mid-Size Pro Organizer was designed for people like me. 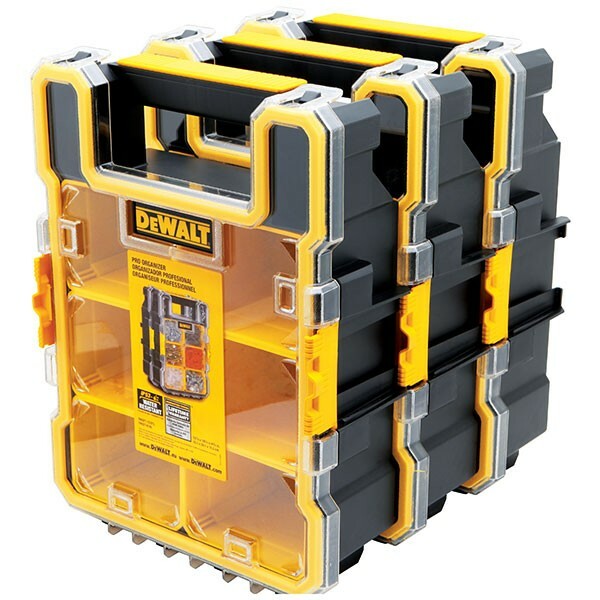 Featuring six removable inner cups (3.12" x 4.29” x 3.58”) housed in an impact resistant shell with a see-through lid, each DWST14740 can be customized to handle a specific task. If you need to take on more than one task, two or more of the DWST14740 organizers can be locked together and carried with one handle.